Archives of Budo is an international peer reviewed journal publishing articles on various aspects of the sports sciences covering education and research in martial arts and combat sports, and related areas like biomechanics, kinesiology, medicine, psychology, sociology, technologies of sports equipment, research in training, selection, performance, survival, and other interdisciplinary perspectives. Archives of Budo editors endorse the principles embodied in the Helsinki Declaration and expect that all research involving humans has been performed in accordance with these principles. All human studies must have been approved by the investigator's Institutional Review Board. A copy of the relevant documentation should be included with the manuscript. Furthermore Archives of Budo follows the ICMJE's Recommendations for the Conduct, Reporting, Editing and Publication of Scholarly Work in Medical Journals. 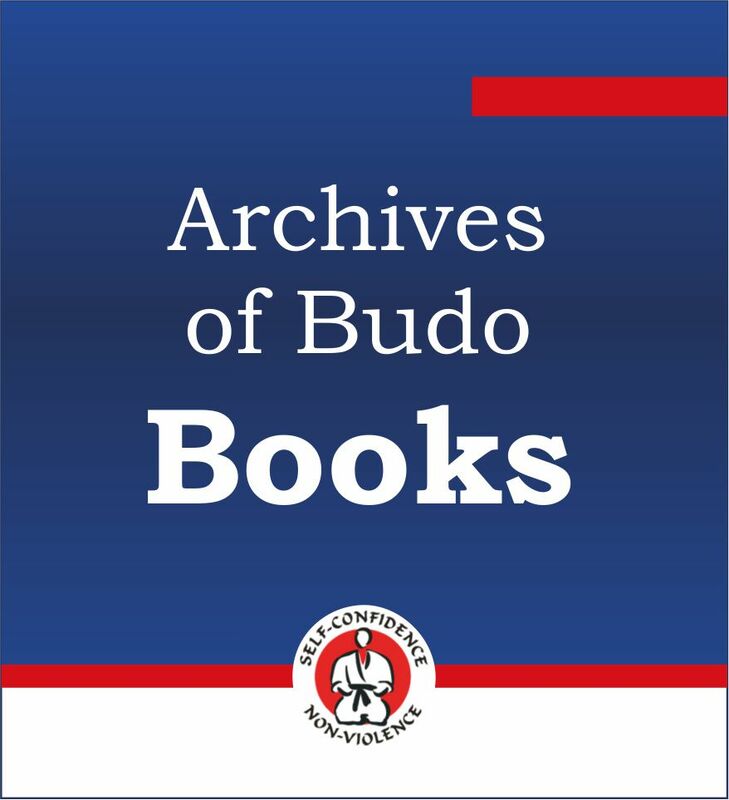 Archives of Budo provides free, immediate and permanent online access to the full text of all articles distributed under the terms of the Creative Commons Attribution Non-commercial License http://creativecommons.org/licenses/by-nc/4.0), which permits use, distribution, and reproduction in any medium, provided the original work is properly cited, the use is non-commercial and is otherwise in compliance with the license. Science of Martial Arts - articles published in this section are fundamental for the science of martial arts: (1) original articles (including those qualified into “vision” and “perspective” category); (2) review articles (summary of detailed research - for example on physical endurance of homogeneous group of sportsmen or sportsmen practicing different combat sports); (3) original papers, as descriptions of validation procedures of tests or methods (motor learning and control etc.) that are used in the practice of martial arts and health-related training based on elements of martial arts; (4) original papers pointing out possibilities of increasing the efficiency of training of different sports by the introduction of elements of martial arts; (5) review papers covering the essence of the Archives of Budo mission. Health Promotion and Prevention - in this section we publish articles from various categories (basic research, case reports, reviews and special reports, perspectives, letters to editor with comments on a recent Archives of Budo articles etc.) which provide scientific arguments on the relation of specific budo exercises with keeping and improving the health in every sense – somatic, psychological, and social. Furthermore, developing motor competence for survival (safe falling, self-defense, ability to act precisely regardless of intensity and the time of a physical effort, methods of the premedical help and different forms of saving people in dangerous situations etc). Prophylactic and Therapeutic Agonology - this section will involve (theoretical and empirical) papers devoted to the science about struggle in prophylactic and therapeutic dimension. Philosophy - articles in this section deliver reliable argumentation that immanent value of the budo practice is developing intellectual and the mental sphere (spiritual), apart from improving the motor abilities of a person,. The papers from the borderline of other disciplines of humanities and social (especially sociology, psychology, and ethics) are published here. History - in this section we publish articles linking tradition with the latest trend of the martial arts practice. Archives of Budo document all incidents of scientific dishonesty especially of violation of ethical principles followed in science. The Archives of Budo adopts the World Association of Medical Editors’ definition of editorial freedom, which holds that Editor-in-Chief has full authority over the entire editorial content of their journal and the timing of publication of that content. Authors should not interfere in the evaluation, selection, scheduling, or editing of individual articles either directly or by creating an environment that strongly influences decisions. Editors base editorial decisions on the validity of the work and its importance to the journal’s readers, not on the someone's interest motives, and editors are free to express critical but responsible views about all aspects without fear of retribution, even if these views conflict with the somebody's goals. Editor-in-Chief has the final say in decisions about which work and when appears and has final say in use of the journal brand and an overall policy regarding journal content. Authors are obliged to respect the concept of editorial freedom. Preliminary evaluation. Received manuscripts are first examined by Editors according to Archives of Budo ‘technical’ requirements and policy. Incomplete packages or manuscripts not prepared in the advised style will be sent back to author(s) with suggestions for correction. The authors are notified with the reference number upon manuscript registration at the Editorial Office. The Editor-in-Chief or Section Editor reads every manuscript received and assigns a general priority level: (a) manuscripts sent to reviewers immediately; (b) manuscripts returned to authors with suggestions for the correction of data presentation; and (c) rejected manuscripts. Editors read the revised manuscript. If the manuscript is improved adequately, it is sent to two (or more) reviewers for review and to the Statistical Editor, if it contains numerical data. The preliminary evaluation process usually takes 3-5 weeks. Because the essence of reviews and editorials is selection and interpretation of the literature, Archives of Budo expects that authors of such articles will not have any financial interest in a company (or its competitor) that makes a product discussed in the article. Journal policy requires that reviewers, associate editors, editors, and senior editors reveal in a letter to the Editor-in-Chief any relationships that they have that could be construed as causing a conflict of interest with regard to a manuscript under review. The letter should include a statement of any financial relationships with commercial companies involved with a product under study. Copyright transfer. Archives of Budo require written exclusive assignment of copyright transfer from all authors at the time of manuscript submission. Manuscript will not enter the peer-review process until the copyright transfer is completed, signed and sent to the Editorial Office. Once an article is accepted for publication in Archives of Budo, the information therein is embargoed from reporting by the media until the mail with date of online publishing. Upon acceptance all published manuscripts become the permanent property of the owners of the Archives of Budo, and may not be published elsewhere without written permission. It is important to remember that review time is merely an average, and the actual time taken depends on various factors, like the journal editor’s ability to find suitable peer reviewers, the availability and responsiveness of the peer reviewers, and the extent of revisions recommended. Reject, typically because it does not fit the criteria outlined above of originality, importance to the field, cross-discipline interest, or sound methodology. The journal will not publish the paper or reconsider it even if the authors make major revisions. The manuscript contains elements that are suspected to be plagiarized, or it is currently under review at another journal (submitting the same paper to multiple journals at the same time is not allowed). The manuscript is insufficiently well prepared; for example, lacking key elements or submitted as PDF file. The English is not of sufficient quality to allow a useful peer review to take place. The figures or/and tables are not complete or are not clear enough to read. The manuscript does not conform to the most important aspects of the Instruction. The study topic was of little significance - it is archival, or of marginal interest to the field; it is simply a small extension of a different paper, often from the same authors. The manuscript is clearly part of a larger study, chopped up to make as many articles as possible (so-called “salami publication”). Bad writing - the language, structure, or figures are so poor that the merit of the paper cannot be assessed, then the paper will be rejected. 5 to 10key words (not from title), referring to the Medical Subject Headings (http://www.nlm.nih.gov/mesh/). Glossary (up to 40 words), referring both to key words and specialistic terms, presenting the meaning, definitions or explanations of key terms, phrases etc., avoiding jargon. Full address, phone number, e-mail of the corresponding author. Inappropriate submissions i.e. lack of approval of the Ethics Committee, Informed Consent, signed Authorship Statement etc. that do not fulfil above criteria will be after 14 days automatically rejected. After entering the Archives of Budo home page, select from the main menu the shortcut ‘Submit manuscript’. It is necessary to create account or provide a password and login to submit manuscript.You should remember to note your password and login for future use. The submission and peer-review of manuscripts are free of charge. Authors are requested to pay $1,500 USD (or 5,800 PLN) gross. This fee is requested after positive evaluation of a manuscript. Authors may be also obliged to cover additional fee for Developmental Editing, if the manuscript requires. Developmental Editing expands editing focus beyond your paper’s writing. It includes improvements to presentation, argument, clarity, and flow. Bank transfer are only accepted. In the title of the transfer, the number of the invoice and article must be stated. All Fees associated with bank transfer are covered by the payer author or institution !